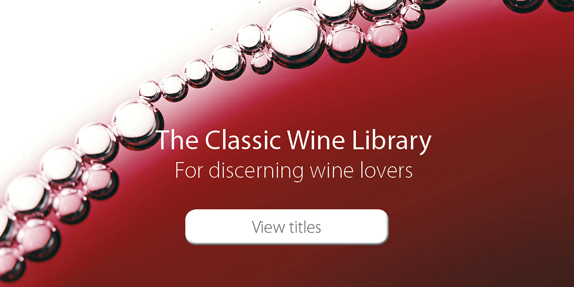 James Tidwell MS has joined the editorial board of the Classic Wine Library series, published by independent Oxford publisher Infinite Ideas. Tidwell, a Master Sommelier who co-founded the TEXSOM Conference, now in its fourteenth year, is a writer, speaker, consultant and entrepreneur who is expert in the worlds of wine, tea and sake. He joins current board members Sarah Jane Evans MW and Richard Mayson in working on the growing series. James Tidwell, Master Sommelier, is a writer, speaker, consultant and entrepreneur. After passing the Master Sommelier examination in 2009, he earned his Diploma from the Wine and Spirits Education Trust (WSET); Certified Wine Educator (CWE) from the Society of Wine Educators; Certified Tea Specialist from the Specialty Tea Institute, and Certified Sake Professional from the Sake Education Council. Tidwell holds a baccalaureate degree in International Trade and Finance from Louisiana State University, and earned Honours upon graduating from the Culinary Institute of America. Tidwell co-founded the TEXSOM Conference with fellow Master Sommelier Drew Hendricks. Now in its fourteenth year, TEXSOM is the premier professional beverage education conference in the United States and among the most influential in the world. He is also Co-Owner and Producer of the TEXSOM International Wine Awards, one of America’s largest and most respected wine competitions. His writing has appeared in World of Fine Wine, Lonely Planet, Celebrated Living and The Dallas Morning News. His industry leadership has included service on Boards of Directors and Advisory Boards for the Court of Master Sommeliers – Americas, GuildSomm, the Society of Wine Educators, the Specialty Tea Institute and the Wine and Food Foundation of Texas. He is consulting Master Sommelier with Four Seasons Hotels and Resorts in Las Colinas, Texas, which earned a Wine Spectator Best of Award of Excellence and five nominations for a James Beard Foundation Award for Outstanding Beverage Program under his direction.